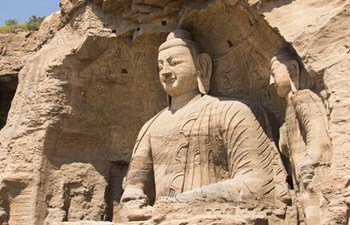 Datong tour to Yungang Grottoes and more cultural relics. 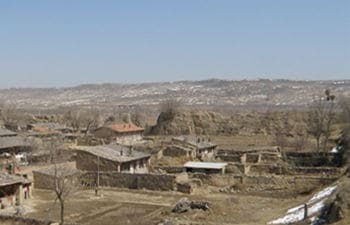 Datong locates at north tip of Shaanxi Province and is the 2nd largest city in Shanxi Province. It neighbors the Inner Mongolia and is about 4.5 hours car riding from Beijing. Due to its relatively short distance from Beijing and the rich cultural relics, Datong is a popular tourist city in China. In history, Datong served as the capital of the North Wei Dynasty (386-557). The well known cultural relics in Datong are: Yungang Grottoes, Hanging Monastery, Nine Dragon Screen, Yingxian Wooden Pagoda, Great Wall, etc. On this 9 hours private tour from your hotel in Datong city area, you will pay a visit to the Deshengbu Fortress of the Ming Dynasty Great Wall. And then you will trek for some time on the ruins of the rammed earth wall. 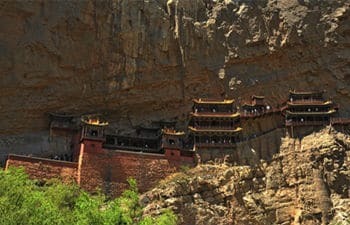 Yugang Grottoes in Datong is one of the four greatest Buddhist grottoes in China. It is also the one locates closest to Beijing among the fours. 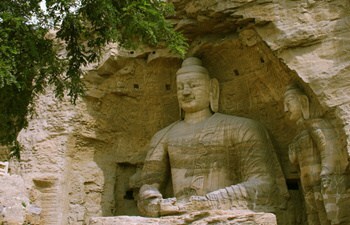 This private tour will offer the opportunity to visit Yungang Grottoes from Beijing in one day. 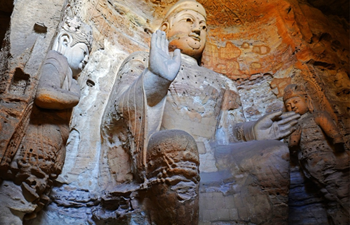 Explore the highlight cultural heritage in and nearby Datong city on the 2 days private tour. 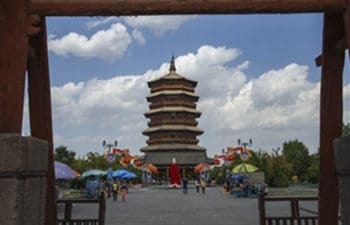 With company of your private tour guide, you will visit: Yungang Grottoes, Nine Dragon Screen, Datong Museum, Hanging Monastery, Cave House Village, Yingxian Wooden Pagoda.